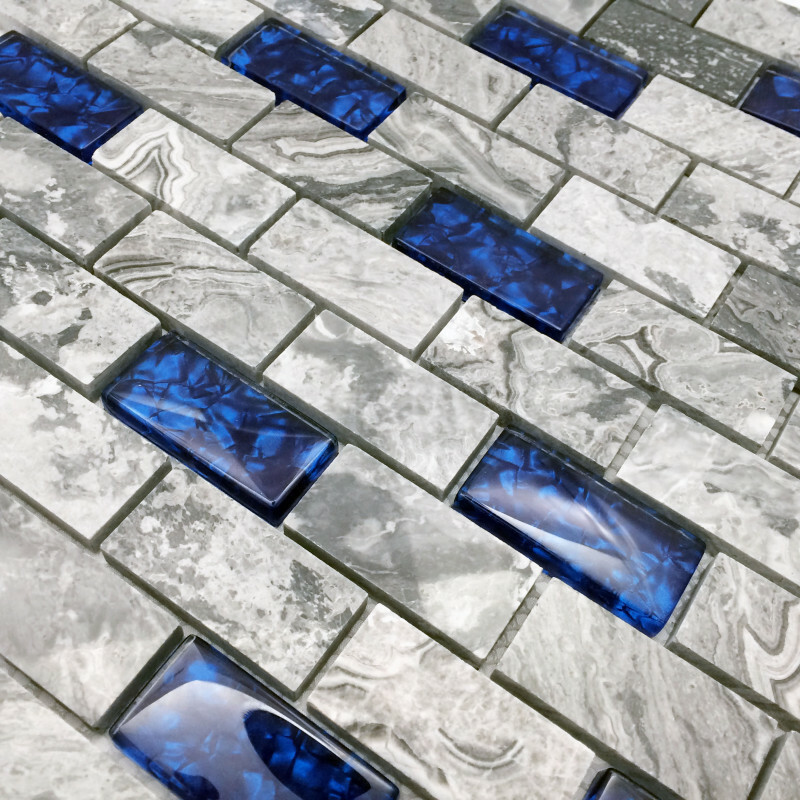 This is our new design glass and marble tile. It has subway pattern design. The color of the stone chips is random, some chips looks grey and some chips are darker, because they are all made from nature stone, we keep their nature color, did not add any artificial dyer, and we only polish the surface of the marble stone to make it glossy. The navy blue glass chips look like the diamond "Heart of Ocean". 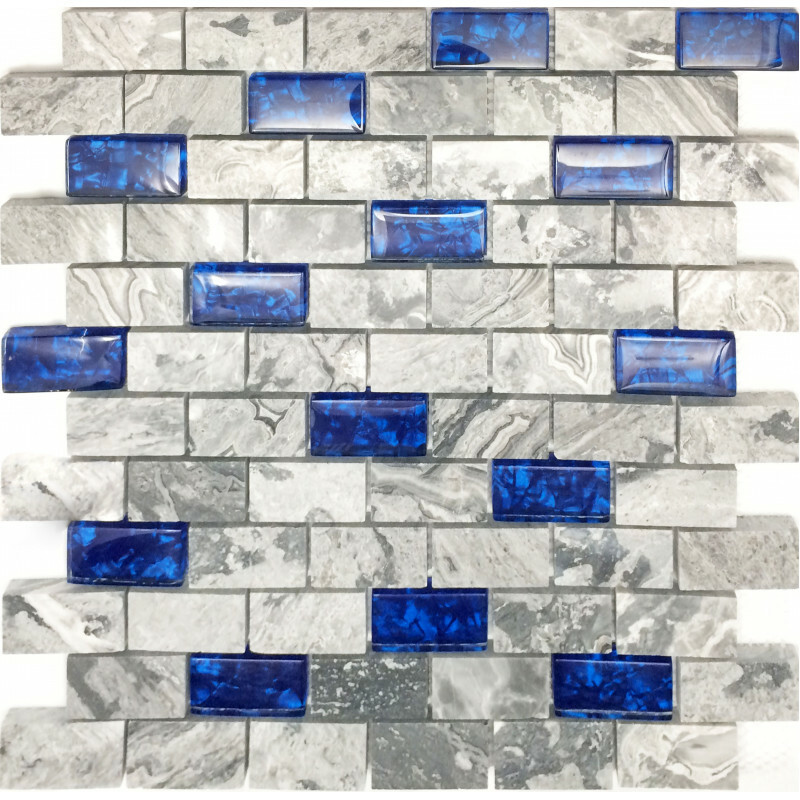 Resistance to scratch, great for bathroom floors, bathroom walls, showers, kitchen backsplash, accent walls and kind of interior application. 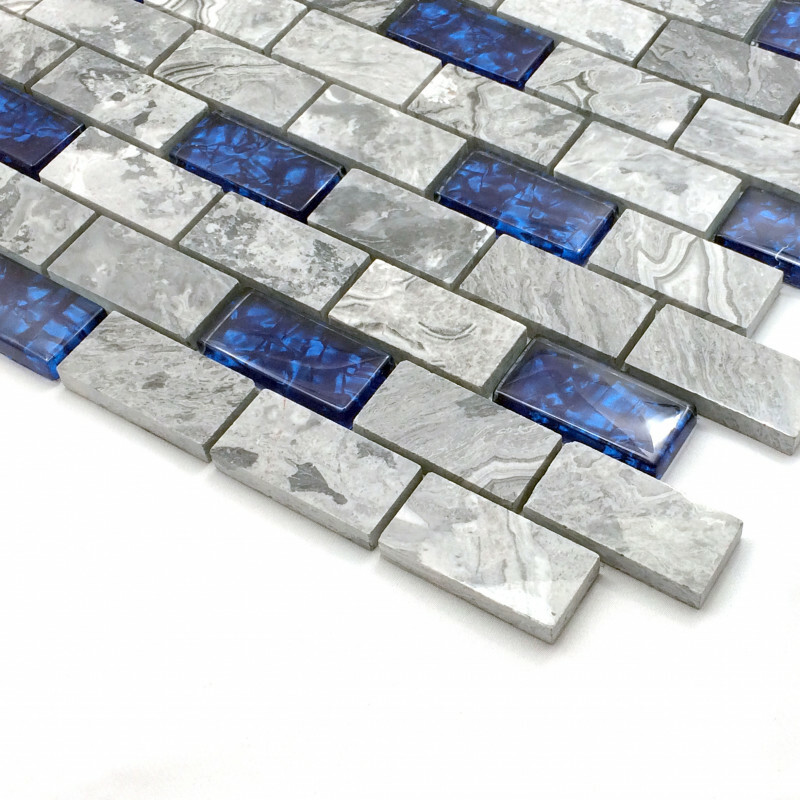 The blue backsplash tile gives a strong feeling that it is a picture, bring nature to your home!